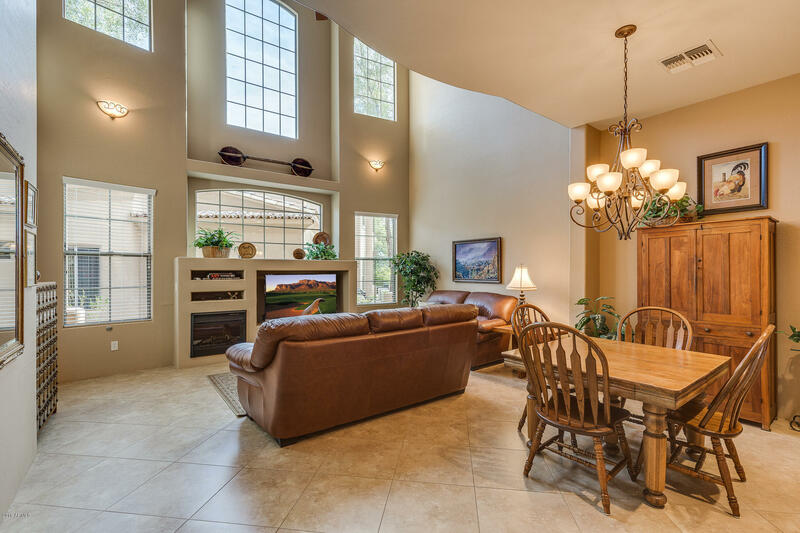 TERRIFIC 3 BEDROOM LOCK & LEAVE TOWNHOME NESTLED IN THE GATED TOSCANO VILLAS GOLF COMMINITY. THIS BEAUTIFULLY UPGRADED HOME OFFERS 2 MASTER SUITES & 3 BATHS. OWNER'S SUITE SPORTS TILED WALK-IN SNAIL SHOWER, SOAKING TUB & VIEW BALCONY. GOURMET KITCHEN FEATURES SLAB GRANITE COUNTERS, STAINLESS APPLIANCES & OODLES OF QUALITY CABINETRY. GORGEOUS TRAVERTINE PAVERS IN FRONT COURTYARD & BACK PATIO. 2018 WATER HEATER. MOVE-IN READY & MOST FURNITURE CONVEYS VIA SEP CONTRACT FOR $1. HEATED COMMUNITY POOL & SPA PLUS FITNESS CENTER JUST AROUND THE CORNER. CLOSE TO 5 GOLD CANYON GOLF COURSES, WORLD CLASS HIKING, RESTAURANTS & ONLY 35 MIN TO PHX SKY HARBOR.